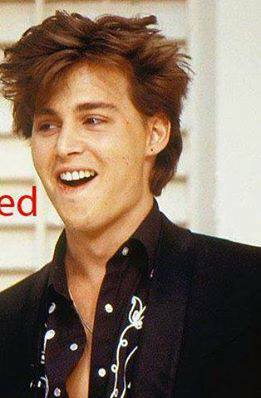 Just soo sweet <3. . Wallpaper and background images in the Johnny Depp club tagged: johnny depp actor ♥ depp public appearances. This Johnny Depp photo contains business suit. There might also be well dressed person, suit, pants suit, pantsuit, suit, and suit of clothes.